Ask someone who they would rather spend time with, an arrogant person or a self-confident person and their answer will be quick and easy. No one likes to be around an arrogant person. There are nine easily recognizable clues that you might be arrogant that I have compiled. Follow with me and see if any of these apply to you. 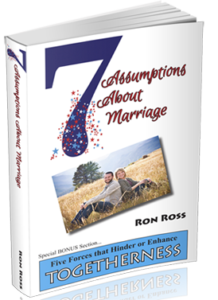 I must confess that as I wrote these, more than once I had to pause and admit, Ron, you are talking about yourself. So please, don’t think I am writing these from some ivory tower of confidence – it’s more like I’m writing them from the swamp of real-life-experience. Clue #1: Your favorite subject is you! You want to be the center of attention of every gathering. You want all eyes on you, all conversation about you, at least as long as the conversation is positive, and you don’t like it when the focus turns on someone else. You want everyone to agree with you. You want your story to be the best story. You always want to appear in charge and under control, and if something happens that makes you look bad you don’t like it and you cannot laugh about it. You love the people who adore you but loathe those who do not like you. Clue #2: You have a hard time self-reflecting. Arrogant people have a real tough time facing their own fallacies and weaknesses. To look inward can be very difficult because you do not want to see yourself as you really are. If someone points out that you are rude, what do you do? In most cases, you either justify your actions or you act even ruder with a nasty retort. If someone argues with your point of view, you take little or no time to listen and consider their argument. While they are talking you are not listening but rather you are formulating your most elegant rebuttal against their stupidity. Clue #3: You probably don’t have any real friends. In the first instance this is because you don’t need any. After all, you are complete in yourself, right? Why would you need someone when you are perfectly capable of caring for yourself by yourself. By the way, you need to know that it is really hard to be a friend to someone who doesn’t seem to need other people. When you block out others from entering your little circle of self-indulgence and self-interest , you become an island unto yourself. Clue #4: You want things to go your way and to be done your way. Why is that? Because you are smarter than other people, that’s why! Your “my way or the highway” attitude frustrates the people around you but that doesn’t bother you because that is the way you want it. At least until one day you find yourself all alone on your own little private highway to nowhere. Clue #5: You are capable of false charm but true cruelty is at your core. An arrogant person is usually very charming at first meeting. Their over-the-top personality makes them the center of attention and their charisma captivates many. But it does not always last long because hidden behind the charm are stronger emotions such as cruelty, spite, and vindictiveness. Anyone who comes against you or who discovers your fake magnetism feels your wrath. Clue #6: You see people you do not like as threats to your perfect little world. For an arrogant person, the more they hate someone, the more dangerous that person is to their fantasy world; and so, the bigger the threat, the nastier the critical retort. Think for a moment about someone you don’t like. Does your blood start to boil? Do you begin to formulate reasons why this person is such a lout or idiot or reprobate? Clue #7: You overcompensate for your weaknesses. You talk loud, walk with a swagger, brag about your accomplishments, and maybe even over-dress or over-make-up to hide your frailties. You cover up your real or imagined deficiencies and personal or physical inferiority by striving for power or dominance over others. Clue #8: You are intolerant of people who are not like you. Arrogant people are quick to criticize others and to point out the faults and weaknesses of anyone who is not up to their standards. You have a need to correct the errors of other people and even enjoy setting up others to fail so you can point out their weaknesses and laugh at their failures. It makes you feel smug to see others fail. An arrogant person talks only to people he thinks are worthy of his presence. His nose-in-the-air attitude is visible as he walks past the “little people” of this world because they are unworthy of his attention or interest. Clue #9: You have a vulnerability that lies behind your shield of invincibleness. Fact is, you know you’re not as good as you hope other people think you are and you are terrified they are going to find out. So what do you do? You become increasingly arrogant, increasingly isolated, and increasingly unpopular. A confident person is willing to risk making a fool of himself but not an arrogant person. A confident person will go ahead and grab a microphone on Karaoke night and sing off-key without apology, then laugh with the crowd as they applaud his departure from the stage. An arrogant person will storm off any stage where he is NOT applauded with vigor. He cannot withstand being seen as a making a mistake and worst of all, making that mistake in the presence of others. OK, now let’s review these ten signs you are an arrogant person and compare them to a confident person. An arrogant person must always have the spotlight on them. A confident person can share the spotlight. An arrogant person has a hard time self-reflecting. A confident person enjoys looking inward to see both the good things he thinks, says and does, but also the things about him he needs to change. An arrogant person has no true friends. A confident person has an abundance of friendships at every level. An arrogant person wants everything done his way. 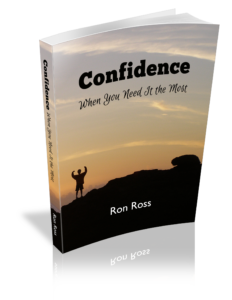 A confident person can learn something from others and can adapt to almost any situation. An arrogant person is capable of false charm and unusual cruelty. A confident person is sincere and gentle in thought, word and deed. An arrogant person does not like threats to their perfect little world. A confident person can accept change and even thrive in the midst of it. An arrogant person overcompensates for his weaknesses. A confident person admits weaknesses and turns them into strengths. An arrogant person is intolerant of people who are different than they are. A confident person sees value in every human being, even those with whom he may disagree on some very serious issues. An arrogant person has a vulnerability that underlies his arrogance. A confident person is willingly vulnerable and not afraid if others discover he is lacking in perfection. Do any of these clues ring true with the way you think, act and feel? Pick out the clues that most damage your personal growth and start working on them. No one likes an arrogant person and you want to be liked! I detest the binary answers to complex personality disorders described in this article. This piece is a typical click-bait article that should not be taken as fact but taken down as a link. I strongly suggest that people who feel they may be having symptoms attributed to an “online diagnosis” seek real professional medical help and stop perpetuating idiocracy. I re-read the post to see what it was that was so problematic for you, Jason. The post was about arrogance as opposed to confidence not mental health vs. sanity. I think my mom is very arrogant and complacent in it too. How do I deal with her in a way that doesn’t frustrate me or the situations her and I engage in? That’s a tough one. Remember – you cannot change other people – especially your mother. You can only change yourself. Ask yourself, “What do I do that causes her to act that way toward me?” Once the games you may be playing with each other will change. The 9 items here are bang on to me. Ive been dealing with arrogant people for so long its never been more clearer what the problem is. Greetings Mr. Ross. I am a student in high school. I’ve the strong belief that I am an arrogant person, actually my mindset is most everything you’ve listed. But I also believe that I am a confident person. What I mean is that both my arrogance and confidence coincide with one another. My colleagues adore me, intelligent, kind etc. But as, you stated, I hold myself on the highest pedestal, and would not slide over for an adversary. I am known to be quite rude to most anyone who crosses my path. Even though I have this arrogant nature, people surround me and I give off good or neutral vibes. Is this a bad quality to hold in my adolescence? Am I truly arrogant? Or confident? I also apologize for the length of this comment, I would assure myself you understand. Jack, You wrestle with a common problem – the tension between arrogance and confidence. There are two ways to deal with it: Self-monitoring and a trusty, truth-telling friend. Listen to yourself talk. The kinds of words you use, the tone of your voice, the posture of your body, etc. Would you like to be around someone who talks like you talk? The other way is to have a friend who will tell you the truth about how you impact other people. Sometimes we blind ourselves to our own faults and need someone to point them out! I don’t boast about my accomplishments but I think highly of my intellect because people keep saying that I am very intelligent. I love to be praised but don’t ask for it. But that is healthy narcissism isn’t it? 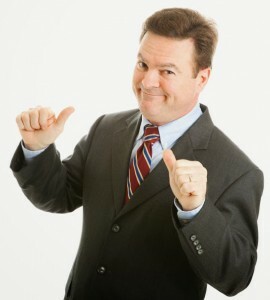 What books or self improvement courses are good to correct arroganct and boastful behavior? My son has them both? Hello Jim, Sorry about the delay in responding. I don’t have a specific book to recommend, but I do have a quote from the late Dr. Robert Schuller. I heard him live several times and it goes something like this, “There is nothing easier that God has to do than to humble you.” It is a rephrase of the saying, “Pride goes before a fall.” Your son will likely have to fall and you may have to let him find out how uncomfortable it is. Life lessons can be hard to learn.